I mitten USAs ambassadör Azita Raji, till vänster Roger Bodin verksamhetschef, till höger Manouchehr Mansouri arbetsledare. 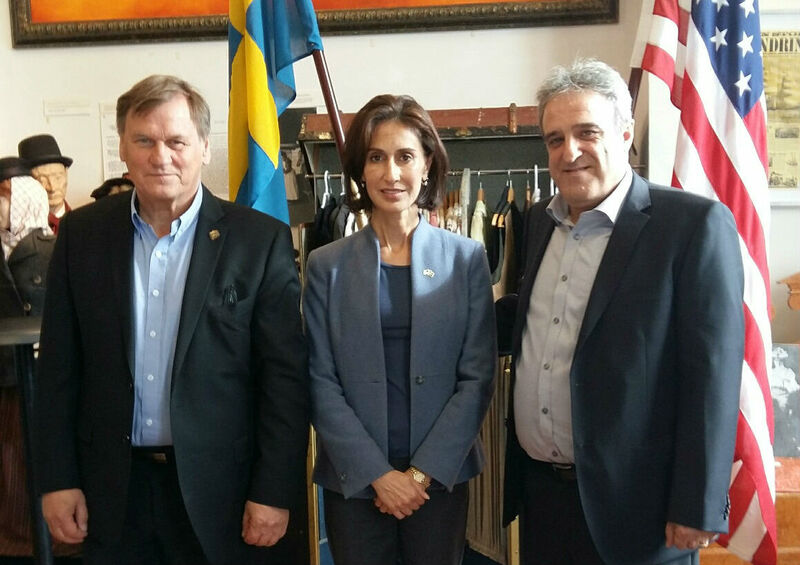 “I’ve also visited Emigration House, because Gothenburg and emigration plays such an important role in the history of both of our countries; and we have talked about how we can draw more opportunities from immigration; and in the United States we gain, very much, a lot of power from immigration, and how we can do that together in Sweden. Gästande entreprenörsstudenter från Chalmers och Handelshögskolan. “Well, I’ve visited with Chalmers and Gothenburg University students. 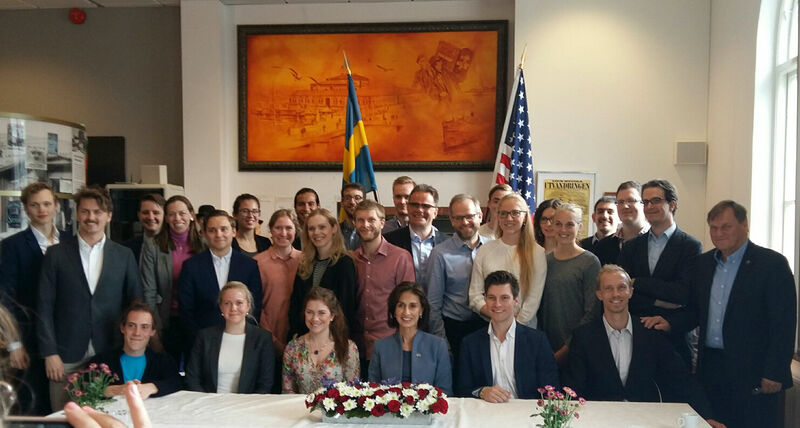 We’ve talked about innovation and entrepreneurship which is very important to us in developing our relationship and it’s something that both Sweden and the United States are very strong in.